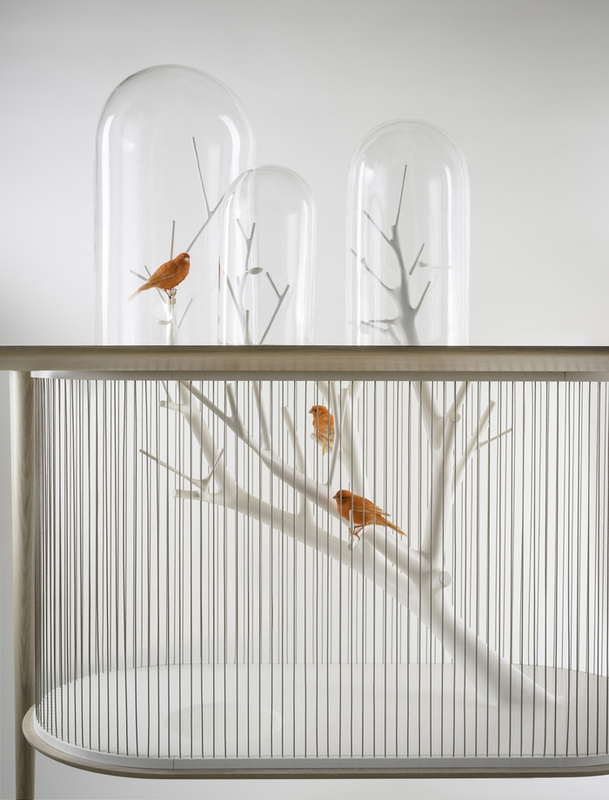 French interior architect and designer Grégroire de Laforrest develops fresh, new designs that break many conventional expectations. 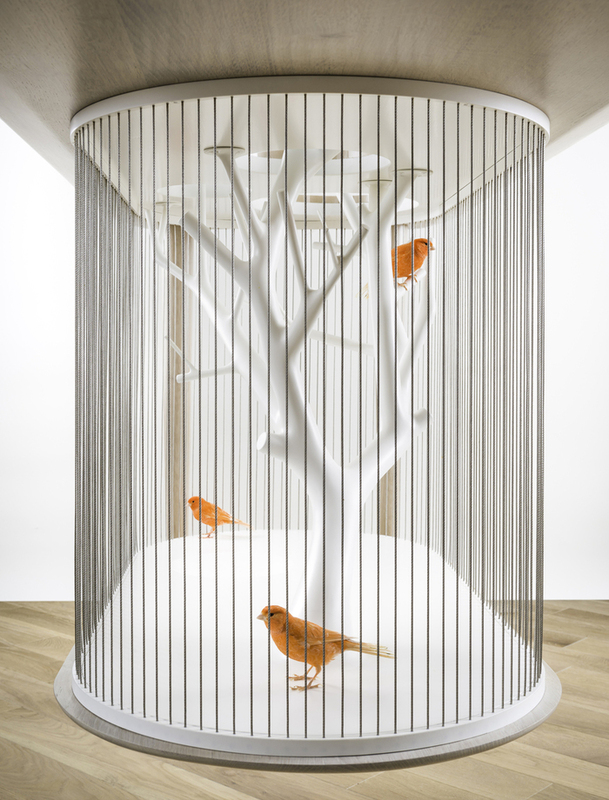 Cage Archibird is an example of his spectacular creativity. 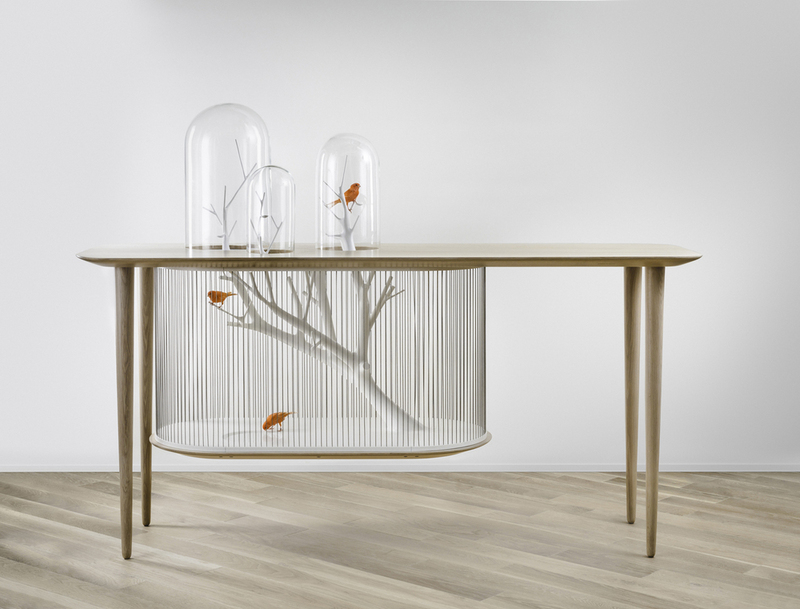 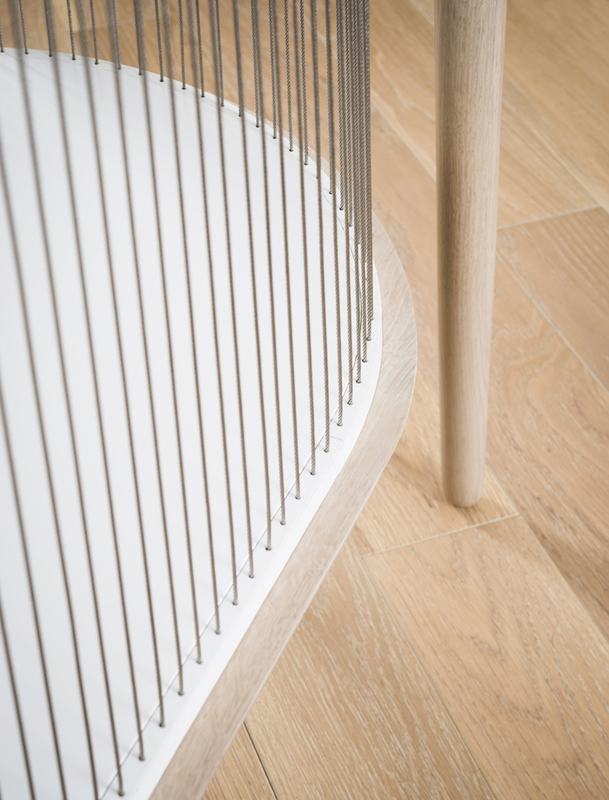 The clever piece naturally integrates two main functions, serving both as a table and as a birdcage. 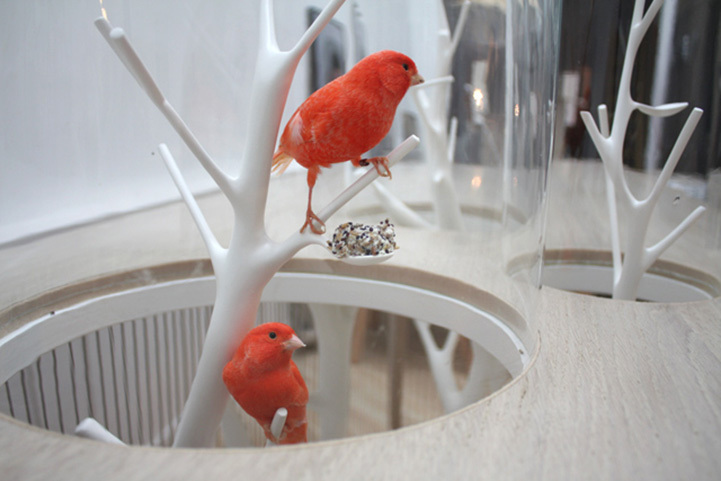 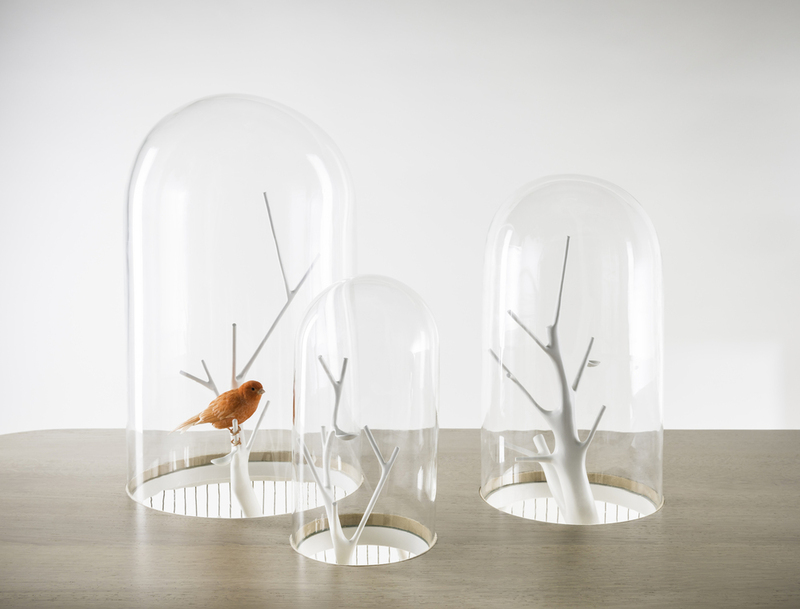 Within the interior, small birds have the freedom to move around and to perch upon the tree branches, both underneath and within the glass bells, while the surface of the table is also available for people to use. 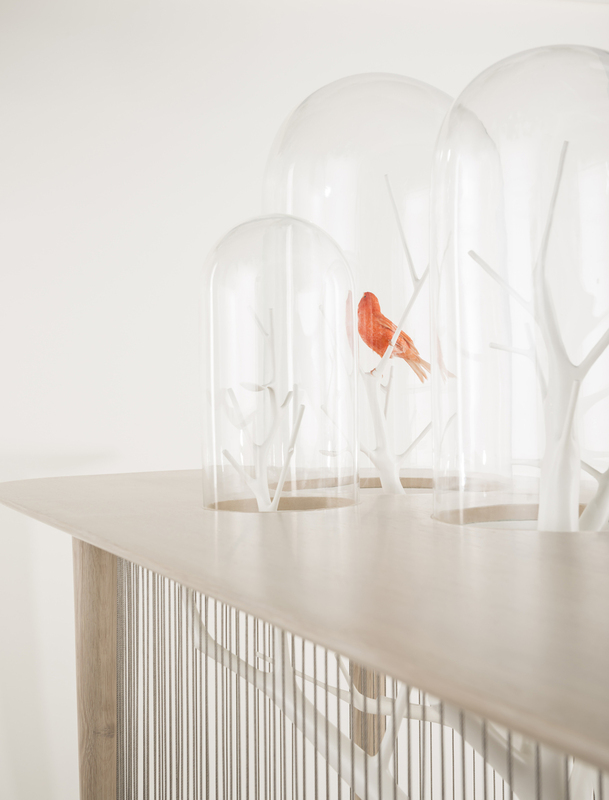 Not only is the concept original, but it is also quite a practical space-saver within any home.